A study published in Journal of the American Geriatrics Society, which examined the records of millions of nursing home residents, supports the value of flu vaccination among the elderly. The data showed that, between 2000 and 2009, the better the match between the vaccine and current circulating influenza strain, the fewer nursing home residents died or were hospitalized. Although seasonal flu vaccinations are considered a standard of care for the elderly, especially in nursing homes with a lot of close contact between individuals, there have been some public health researchers who have questioned the evidence of whether the vaccinations do any good in a meta review of clinical trials. Since clinical trials involving flu vaccines are now considered to be highly unethical, researchers must now rely upon well-designed observational studies that can provide evidence (or lack thereof) of the effectiveness of influenza vaccinations in protecting elderly adults. There have been numerous cohort and case–control studies, that have tracked differences among those who are vaccinated and those who are no,t have been suspected of unintentional bias (for example, individuals left unvaccinated may be too frail compared to the vaccinated general population). One of the issues with analyzing the effectiveness of the flu vaccine is that the year-to-year the ability of the vaccine to protect the individual against the flu can vary widely. In most years, governmental health departments and vaccine manufacturers choose and produce a vaccine that is a good match to protect against the flu. The scientists who decide on the match have to use the information available to them to determine what potential strains of various flus may prevail 6-10 months after the decision date. In some years, they may not get a good match. Flu vaccines are difficult to study, specifically because of all of these variations and confounders. In studies for the measles vaccination, for example, there is not really much year to year variability in the effectiveness of the vaccine. The measles virus has been stable in form for decades (maybe since humans evolved), so a measles vaccination from 1965 doesn’t differ all that much for one used 50 years later. That makes research much easier. So these researchers decided to take a different approach to examining the flu vaccine’s effectiveness with the elderly. They took advantage of the variation from year-to-year in the flu vaccine from 2000-2009. Their hypothesis was that nursing home residents were better protected from flu’s effects in years when the match was good compared to years when the match was not. If flu vaccines don’t protect the elderly, as some vaccine critics have suggested, then nursing home residents shouldn’t fare any better when the vaccine is a good match than when it’s a bad match. This approach should reduce the “frailty bias,” which is a tendency to overstate (or understate) the benefits to one group, in this case those who are frail or near death, over the general elderly populations. Over the 10-year study period, the flu vaccine match rate ranged from 11.2 percent in 2003-2004 and 22 percent the next year, to nearly 100 percent in 2000-2001, 2001-2002 and 2009-2010. Their data showed that match rates for strain A/H1N1 (a nasty strain of flu virus that caused a worldwide pandemic in 1918 and 2009) were usually very high and for strain B were usually low. The data showed that flu vaccinations kept some nursing home residents alive and reduced hospitalization. By comparing weekly deaths and flu-related hospitalizations in each year’s flu season, the researchers were able to calculate that for every percentage point increase in the influenza type A/H3N2 (the strain that leads to the most hospitalizations and deaths) match rate, weekly deaths declined by about 0.0016 and hospitalizations declined by about 0.002 per 1,000 nursing home residents. At first, that data may seem very unimpressive (which was exactly my first impression). However, lets look at it another way. There are about 1.5 million Americans living in nursing homes in 2012 (pdf). Thus, a 50-percentage point increase in the flu vaccine match rate would save the lives of 3,840 people, and prevent over 4,800 hospitalizations. Vaccines definitely save the lives of the elderly. Now this study is not perfect. They only looked at nursing home populations. Most elderly Americans (and those who live outside of the USA) do not live in nursing homes. In fact, nearly 96% of Americans do not live in nursing homes. And this study did not look at the non-nursing home elderly, which have a much lower rate of vaccination. But there’s a good chance that the results could be applicable to the elderly more broadly, and it is hoped that further research is heading in that direction. 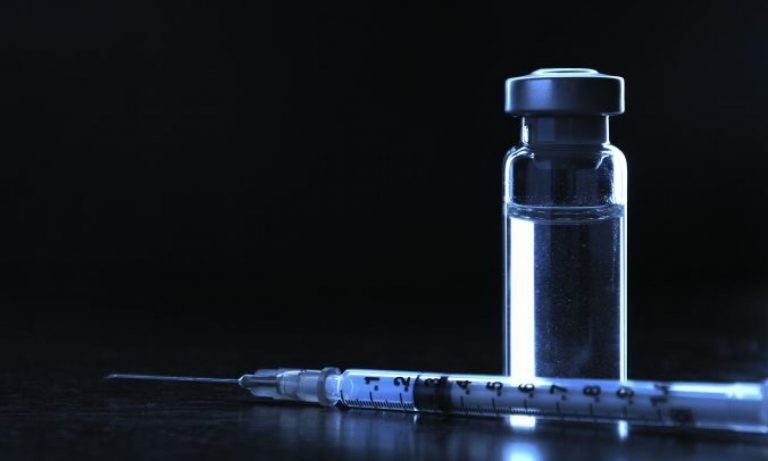 One other issue that some have found with this study is that they could not show how the differences in H1N1 vaccine effectiveness–because the match between the vaccine and the strain was nearly perfect for every year. The authors chose to exclude this confounding factor because it was a confounder. This is easy. Flu vaccines prevent death and hospitalization of the elderly living in nursing homes when the flu vaccine match is good. This could possibly indicate that the effectiveness of the vaccine for the general elderly population is much higher than is claimed by many. This is how science works. Ask a question, like “do flu vaccines actually work to prevent hospitalizations and death for the elderly?” And then try to answer it in an unbiased study. This study supports the incredible value of flu vaccination among the elderly in preventing death and hospitalization. Over time, more studies will either confirm or refute this first study. And maybe the trope that “flu vaccines aren’t effective” will be eroded. I can hope. Mori M, Oura A, Ohnishi H, Washio M. Confounding in evaluating the effectiveness of influenza vaccine. Vaccine. 2008 Nov 25;26(50):6459-61. doi: 10.1016/j.vaccine.2008.06.040. Epub 2008 Jun 23. Review. PubMed PMID: 18573295. Pop-Vicas A, Rahman M, Gozalo PL, Gravenstein S, Mor V. Estimating the Effect of Influenza Vaccination on Nursing Home Residents’ Morbidity and Mortality. J Am Geriatr Soc. 2015 Sep;63(9):1798-1804. doi: 10.1111/jgs.13617. Epub 2015 Aug 17. PubMed PMID: 26280675.